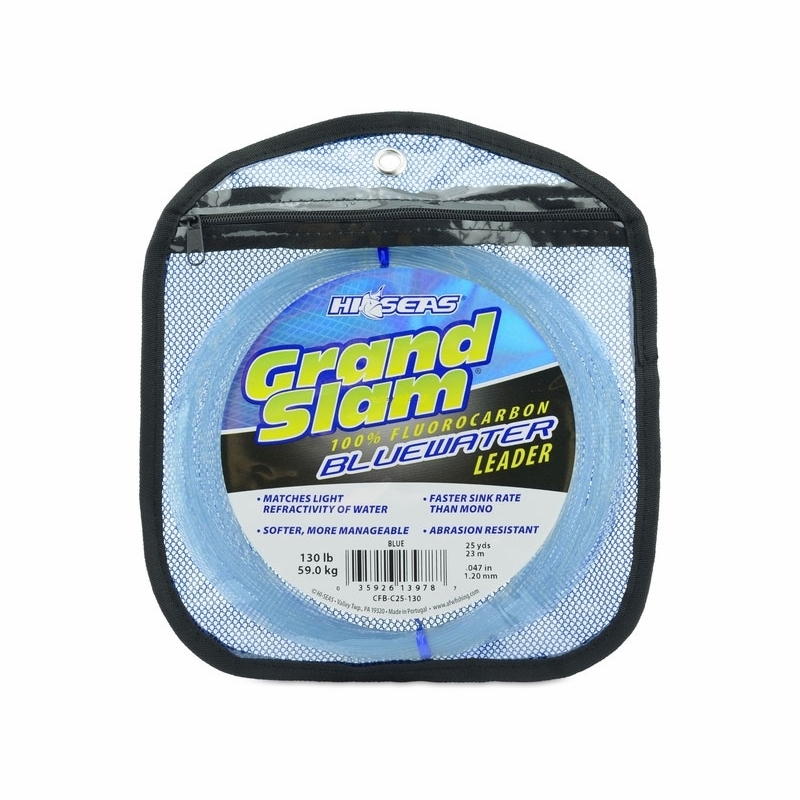 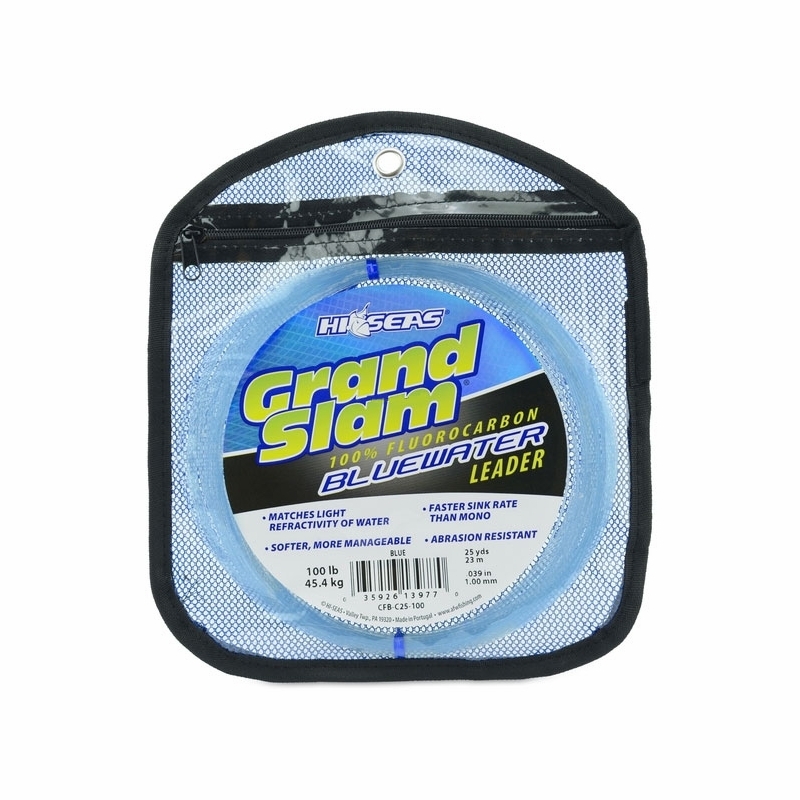 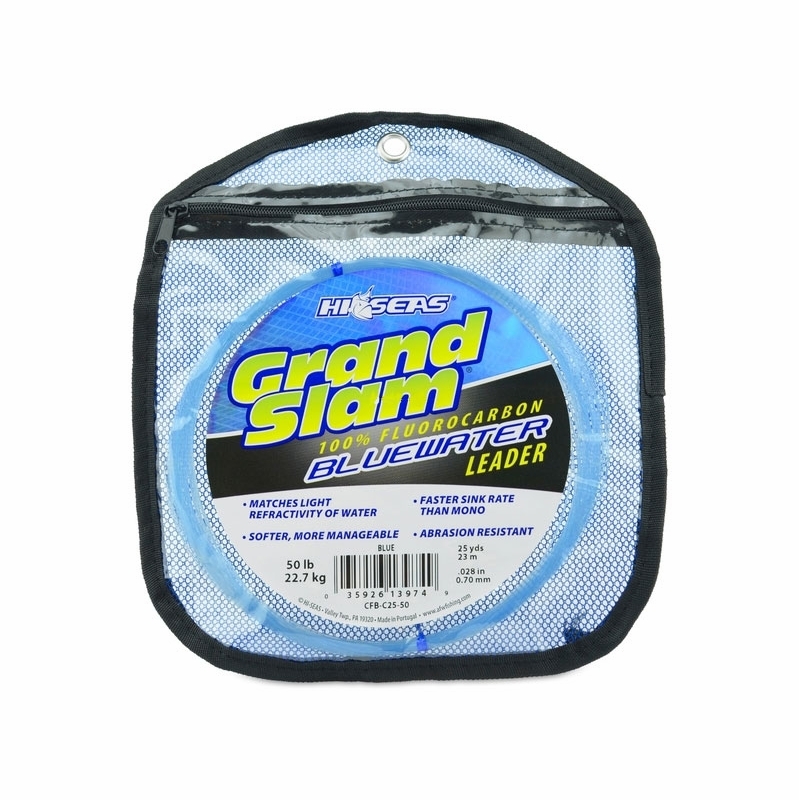 Home > Freshwater Fishing Tackle > Freshwater Fishing Line & Leader > Hi-Seas Fishing Line > Hi-Seas Grand Slam Bluewater Fluorocarbon Leader 25 yd. 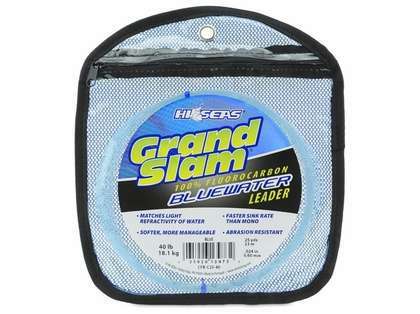 Hi-Seas Grand Slam Bluewater Fluorocarbon Leader 25 yd. 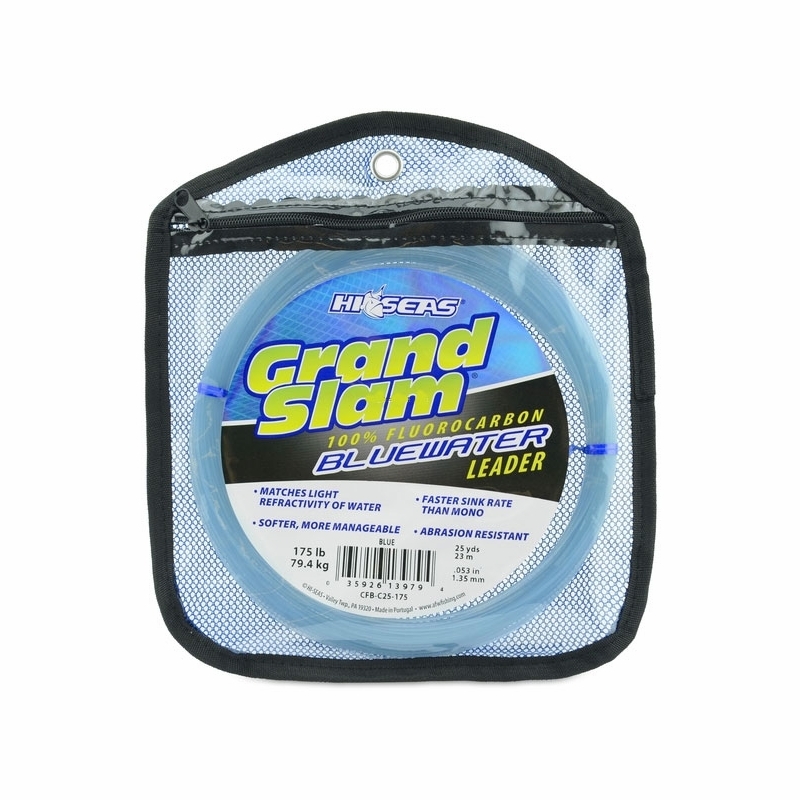 - Select Option -40 lb.50 lb.60 lb.80 lb.100 lb.130 lb.175 lb. 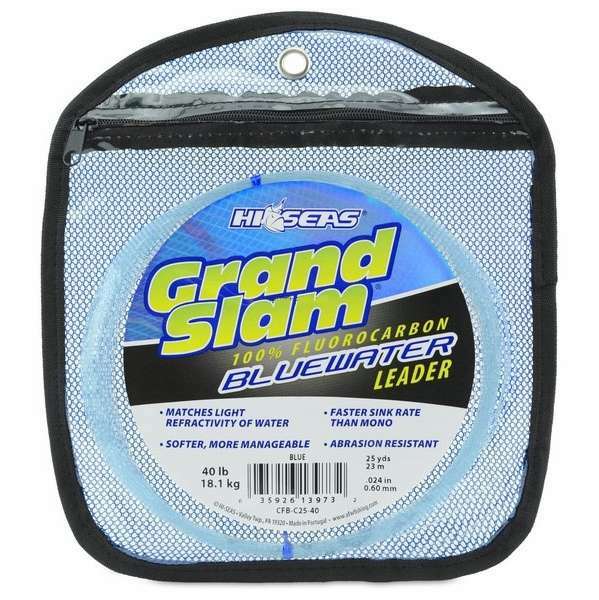 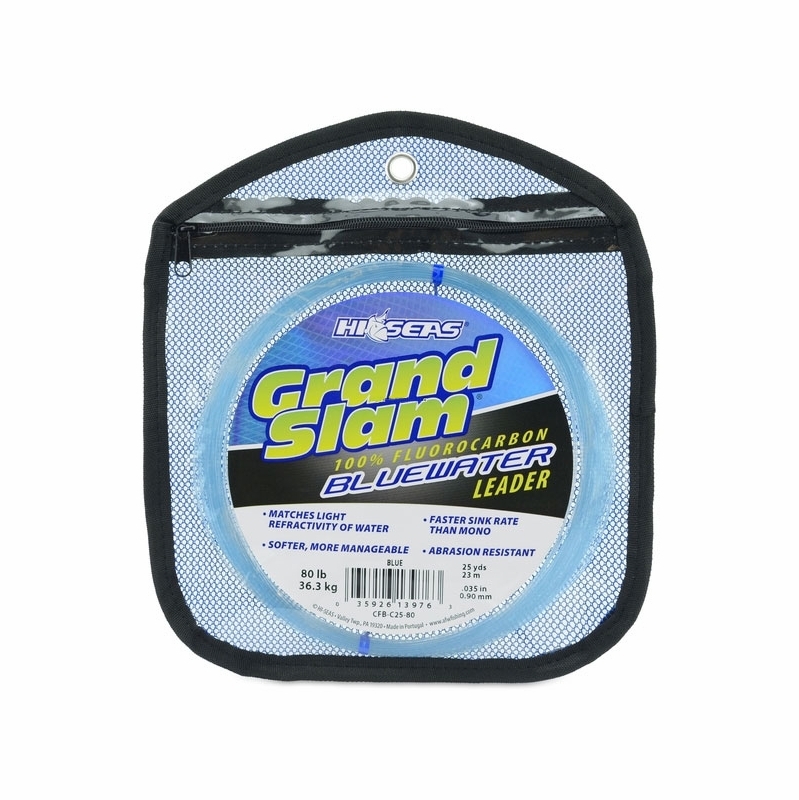 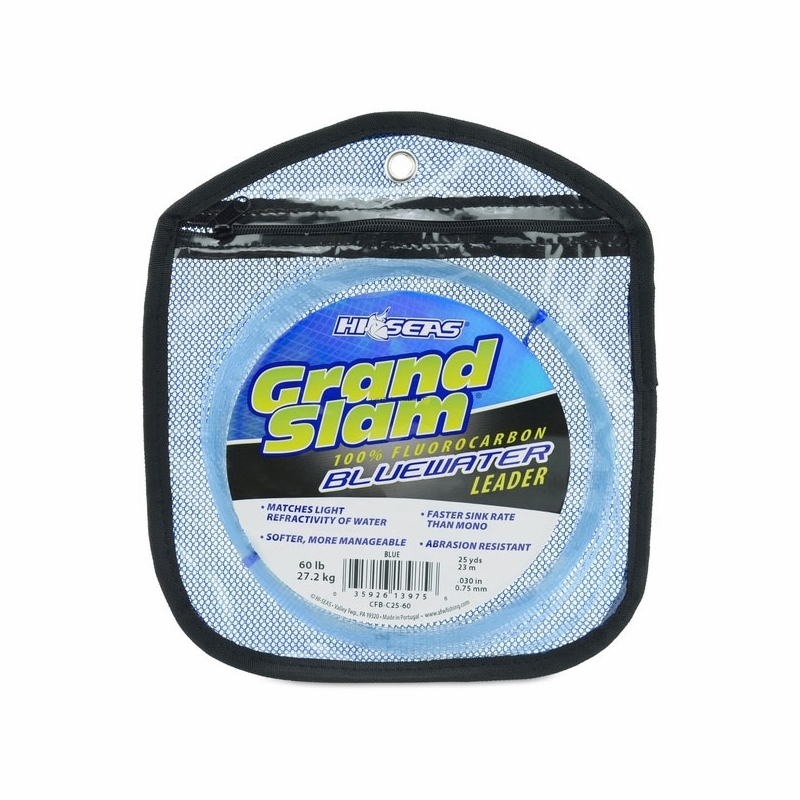 Hi-Seas Grand Slam Bluewater 100% Fluorocarbon Leader is set to take fluorocarbon leader to the next level, with its blue tint that helps to match the light refractivity of the blue offshore waters to make it less visible than its competitors.